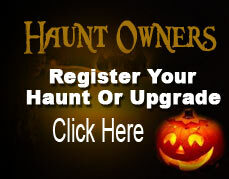 America's Scariest Haunted Houses are The Darkness and Creepyworld located in the St Louis Missouri area. The Darkness location in downtown St Louis is just a few blocks from the St Louis Cardinals Busch Stadium and Ball Park Village in historic Soulard. The Darkness features zombie laser tag, outdoor scream zone, Silo-X haunted house, Monster Museum, and The Darkness haunted house. Next door to The Darkness is St Louis Escape with four different escape room in one location.